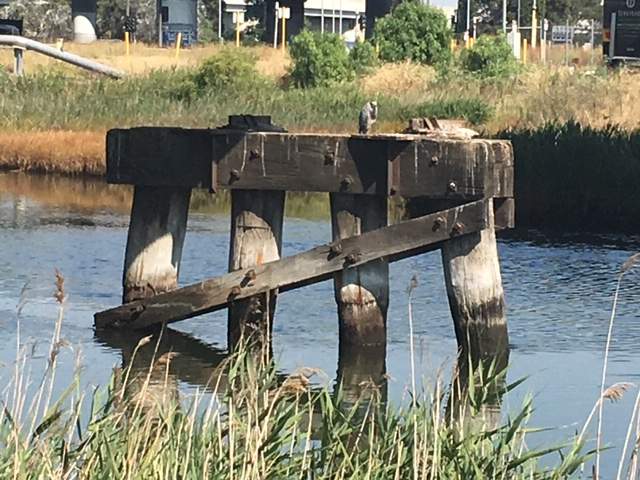 As I wrote in my earlier blog about West Melbourne’s lost wetlands, the vibrant blue lagoon, wetlands and hard-to-navigate stretch of the Yarra River known as Humbug Reach have all long since disappeared. 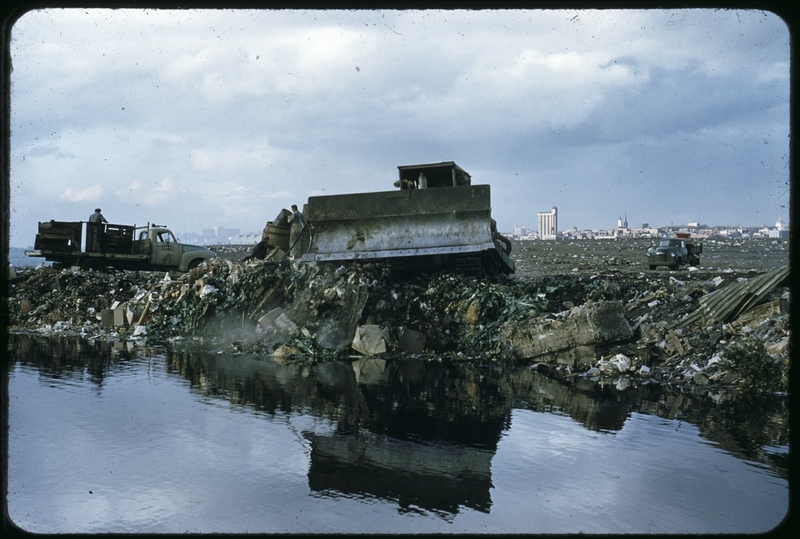 So too have almost all remnants of the area’s rubbish tips, slaughterhouses, boiling-down works and other noisome industries. 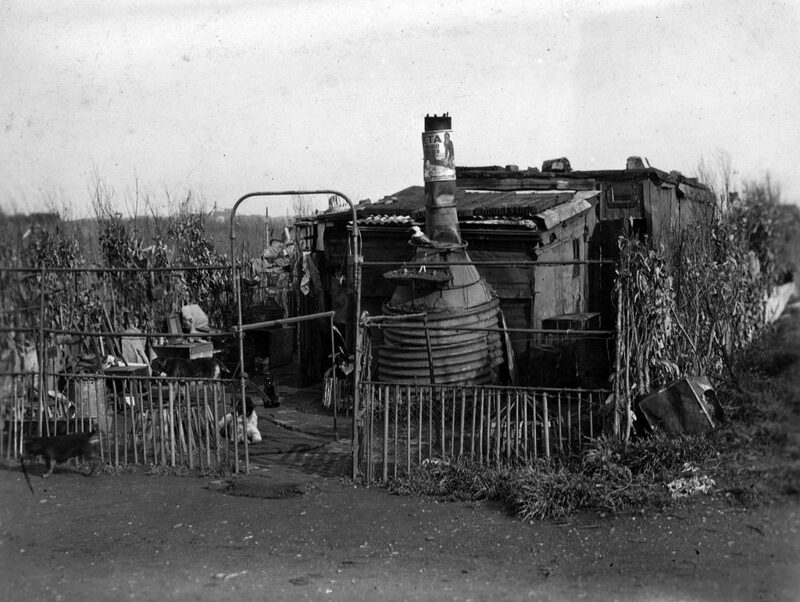 The hermit dwellings and Depression-era Dudley Flats shanty town that dominated the area in the 1930s and ’40s have also vanished. 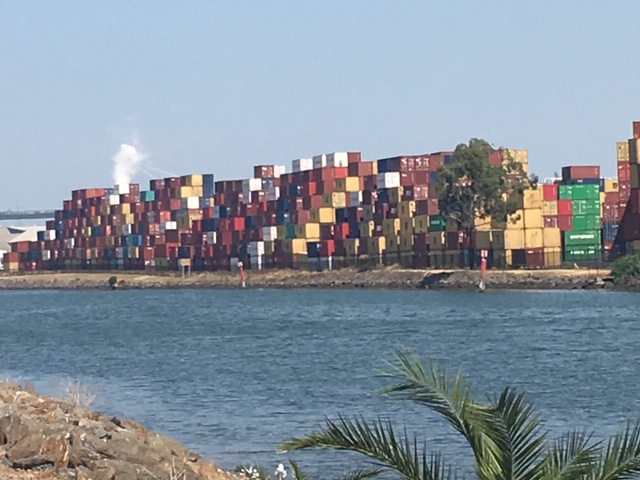 The once-industrious docks have been redeveloped into a leisure and residential zone, and the remaining flatlands stretching all the way to the Maribyrnong River in the west are now crammed with container ports, roads and railways. In 2015, I was fortunate enough to have been the recipient of a State Library Victoria Creative Fellowship. 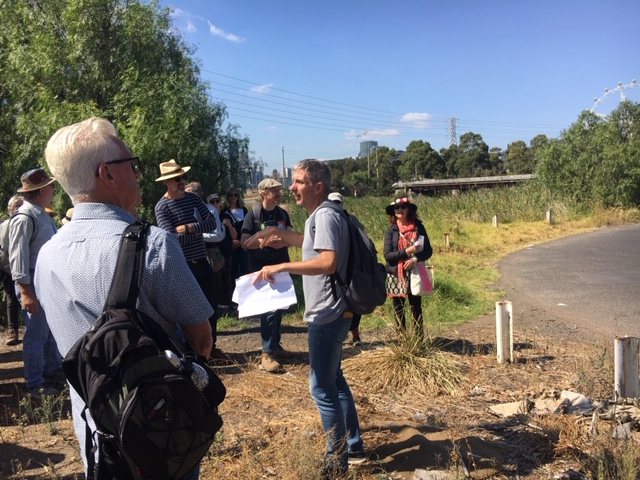 During the fellowship, I researched and documented the transformation of the West Melbourne wetlands over the 180 years since European settlement. Along the way, I assembled biographies of three of the district’s more extraordinary residents between the 1920s and 1950s: Elsie Williams, a Bendigo-born singer of Afro-Caribbean origin; Jack Peacock, the king of Dudley Flats’ tip-scavenging economy; and Lauder Rogge, a German hermit-sailor who lived for decades with 60 dogs on a stranded boat. 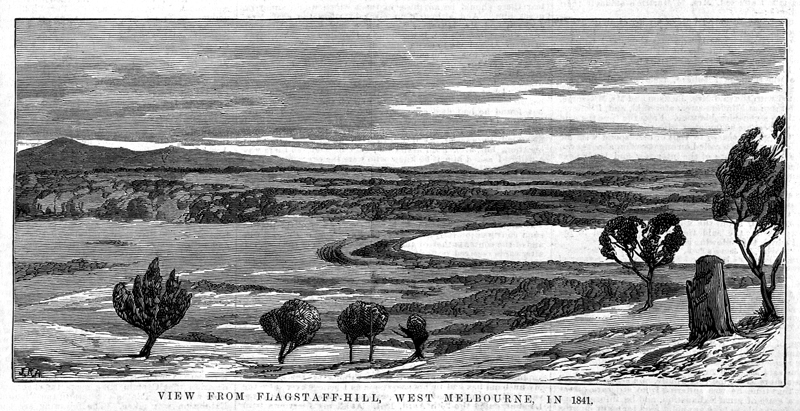 The outcome of my fellowship was a book, Blue lake: Finding Dudley Flats and the West Melbourne swamp (Scribe, 2018), in which I shared the story of my journey of discovery and documented the lives of these three local characters. While I completed most of my research for Blue lake at the State Library, it was very important for me to connect that research to the physical place I was writing about. And the best way to make that connection was to spend a lot of time in the area simply walking, exploring and imagining the area as it once had been. I find that the meditative spaces of walking and imagination are very closely linked. During my walks, I became very aware just how few people today venture into the area on foot, let alone spend time imagining. 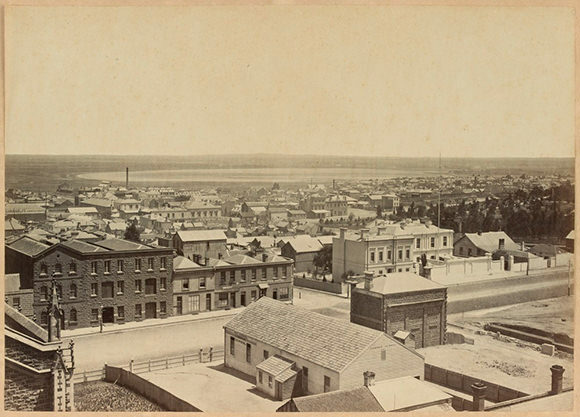 So, following the publication of my book, I was keen to return to West Melbourne – not alone this time but with a group of people who could contribute to the collective imagining of the area’s history, and the connection between past and present. The result was a series of walks called ‘Walking the blue lake’, organised by the State Library on 14 and 17 March 2019. More than 50 people joined me on the three walks. We traced the circumference of the former blue lake, both in part and in its entirety, and reflected on the area’s lost history and the largely forgotten lives that were lived there. I hope you enjoy the following impressions from that collective journey around the lake. My overriding impressions were the disrupted topography of the original wetlands; the inescapability of overpowering urban construction; the thought of the dispossessed original inhabitants and how unimpaired, restful, productive and probably beautiful the place must have been in their time; and the contrasting human stories of the Dudley Flats dwellers. close to Victoria Dock. Only single men lived here. [The walk] brought a long-overlooked, drive-through, no man’s land to life. Learning about how a once fruitful paradisiacal landscape in pre-colonial times was turned into a dead, drained and poisoned dumpscape was sad as well as inevitable. We live overlooking this whole area (at the North Melbourne station) and will now look at it with a deepened imagination. and where Elsie Williams spent her last days in 1942. I learned a lot about the area I’ve often driven above! It made me think about how life must have been and yet how things haven’t always changed as much as we think. We still have homeless people – some of whom would not want to swap with a home owner. 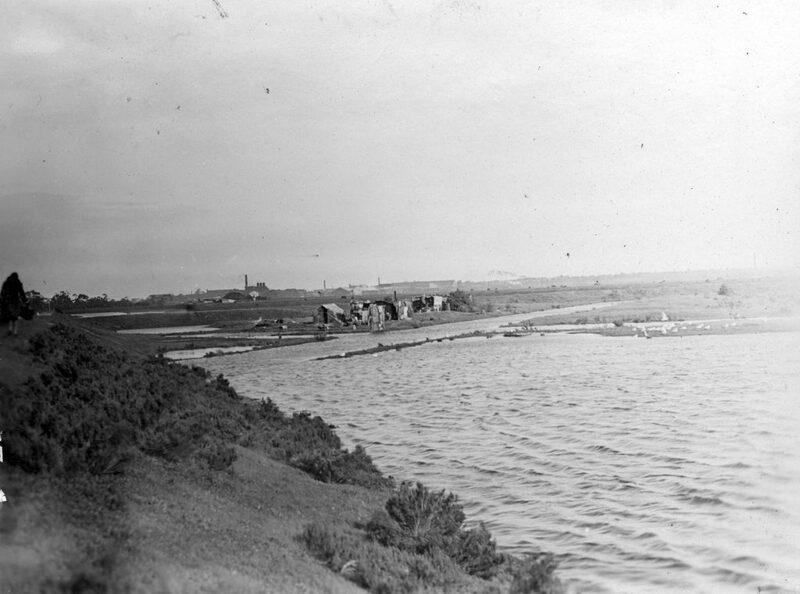 The Railway Coal Canal, or Moonee Ponds Creek, marks the eastern shore of the former lagoon. The image shows the remains of a railway bridge that was used to dump locomotive coal ash on the Railway Tip, which was on the western bank of the canal. Moonee Ponds Creek is named for the Moonee Moonee chain of ponds – the last and largest of the ponds was the tidal lagoon (the ‘blue lake’) that you can see in this photo. 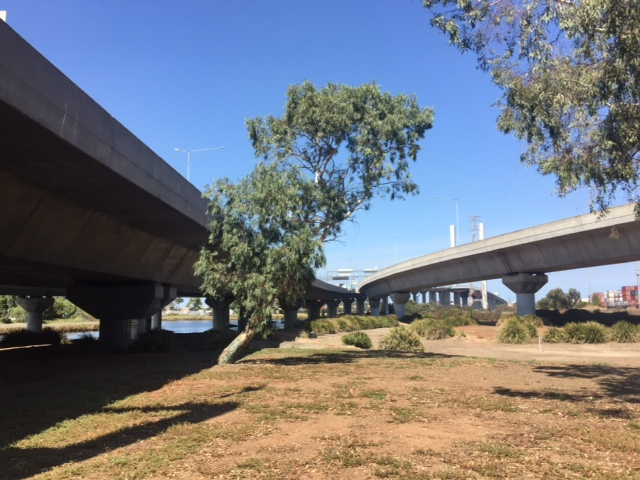 The Maribyrnong River from the site where it once intersected with the Yarra, which was diverted into the Coode Canal in the 1880s. 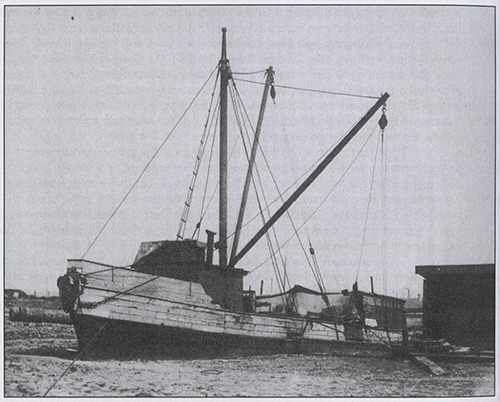 When the Yarra’s original course was eventually filled in during the 1920s, Lauder Rogge’s schooner was stranded there. In the 1970s, when my contemporaries were documenting their full-grain lentil lives in Carlton share houses, I branched out, towards the wild and uncharted west of the city. There a house could be bought for only two times my humble yearly income; however, lentils were unattainable. Imagine! South Kensington. With only a bike for travel, I discovered a labyrinth of private roads, footbridges, hidden paths, over- and underpasses. They opened up the unfamiliar territory that would become my neighbourhood; the busy heavy industrial sites next to forgotten wastelands and encroaching residential pockets, the truck-laden roads and impenetrable railways. Access was never a straight path. It is only now, when I can google map the area, that the proximity of sites and their patchwork of hurdles and obstacles is truly apparent. Today, I wonder how many of those living remotely high above the ground in Docklands explore beyond the gentrified precincts of Harbour Town? 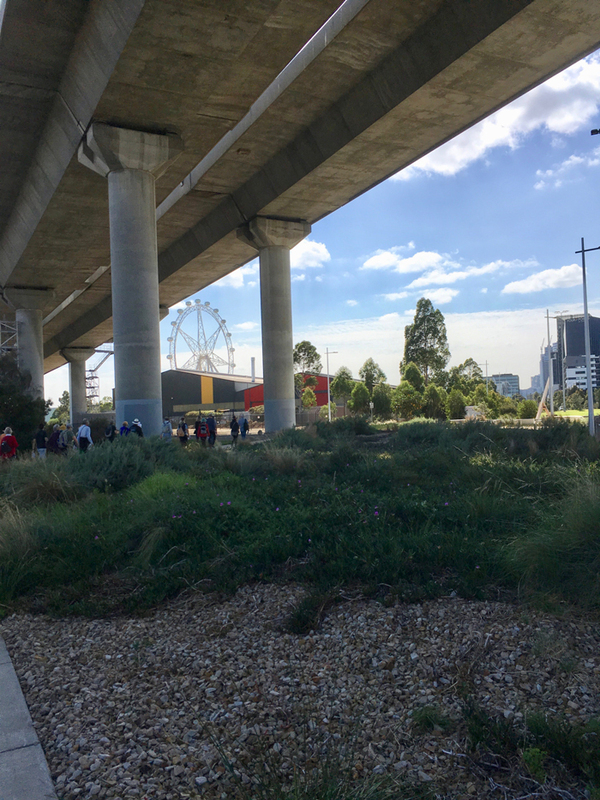 Dudley Flats comes alive when one hears the story of the characters who once lived and worked on the banks of the Yarra. 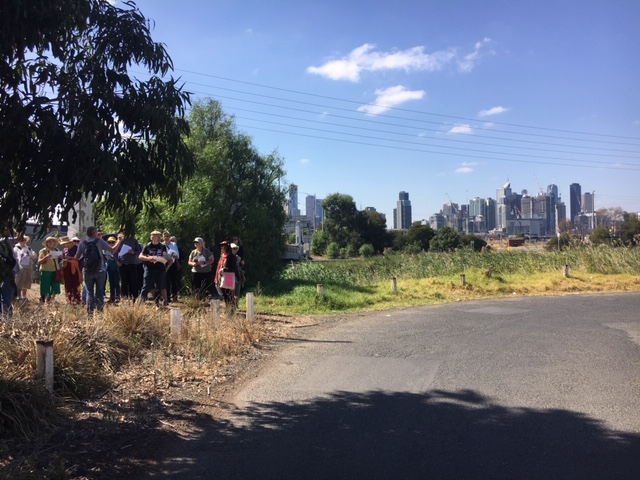 To go on a virtual walking tour of West Melbourne’s lost wetlands, hear David Sornig’s Blue lake podcast on Radio National’s History listen program.